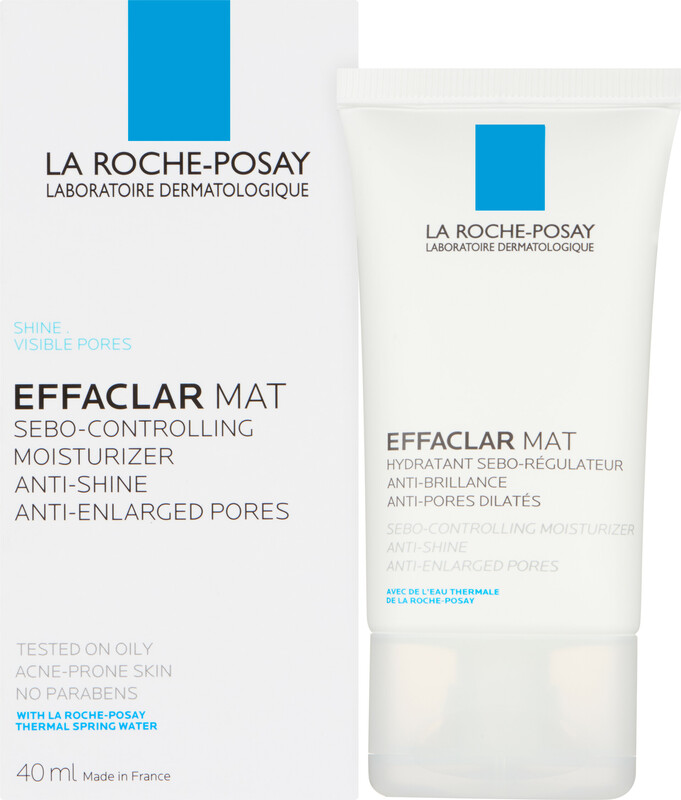 Regulate sebum production right at the source with the La Roche-Posay Effaclar Mat moisturiser, an anti-shine formula for oily skin types. Skin that is persistently shiny needs extra attention. This daily use moisturiser provides long-lasting hydration with added Sebulyse, a sebo-regulating active ingredient that is clinically proven to mattify skin and tighten pores. The oil-free, advanced formula acts as a blotter to mop up excess oil and keep skin clear and soft. Day by day the skin’s texture is continually refined, enlarged pores are tightened, and sebum production slows down. The complexion is left looking mattified and smooth with an intensely moisturised feel. Oily skin. Suitable for sensitive skin. Oil-free blotting effect. Proven longlasting mattifying effect. Apply morning and evening to the whole face, avoiding the eye contour. Also makes for an excellent makeup base. 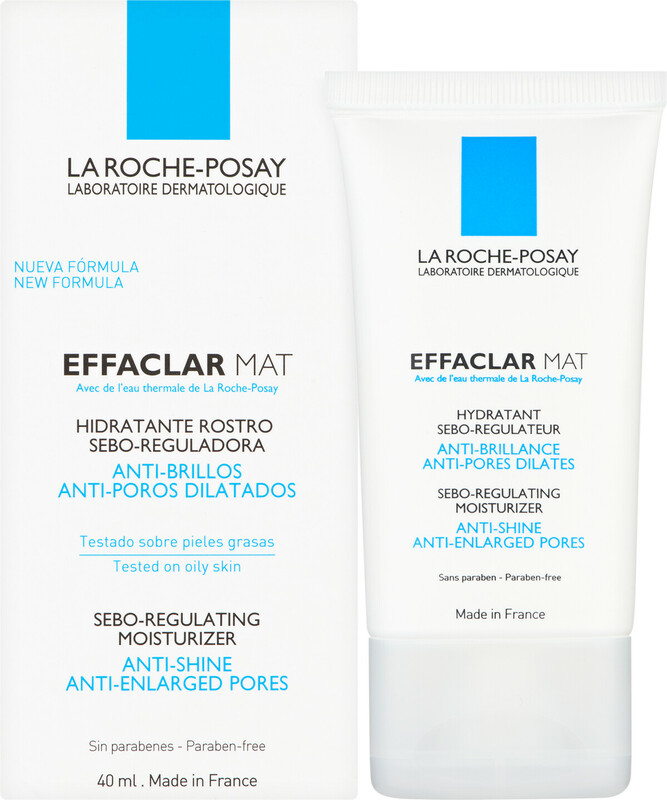 La Roche-Posay Effaclar Mat 40ml is rated 4.3 out of 5 by 32. Rated 5 out of 5 by cazomac from excellent Sooooo good, can't recommend enough. my skin is dry but also prone to breakouts. All my life i have avoided moisturising because ANY moisturiser (including oil free types) make me break out. This doesn't. So happy i finally discovered it. Rated 5 out of 5 by Marion75 from Best moisurising day cream for combinaison skin I love the Effaclar range, which I have been using for many years. This cream is the perfect balance of hydratation and mattifying action for me. I don’t wear make up most days and this gives me the clean, fresh look that people with combinaison and oily skin are desperate for! When I do put make up on, I apply my fondation straight over it and don’t need any powder to fix it or to mattify my skin - Effaclar Matt is a good base for fondation. If you have a combinaison skin like mine you might want to see the other products I use from the range in my recommendations. Rated 5 out of 5 by AlisonCD from Amazing product! This product, along with the other La Roche-Posay products are fantastic. It’s the only thing that’s cleared up my acne! It doesn’t dry out my skin either and is excellent for sensitive skin.